Packing a whopping 128Gb storage, the Nova 3i offers flagship performance at a mid-range price, as PAT PILCHER discovers. It’s been a cracker of a year for Huawei’s phone business. They took second spot in world smartphone sales, beating Apple to sit just behind world leaders, Samsung. This is mainly due to increasingly sophisticated and innovative phone hardware. 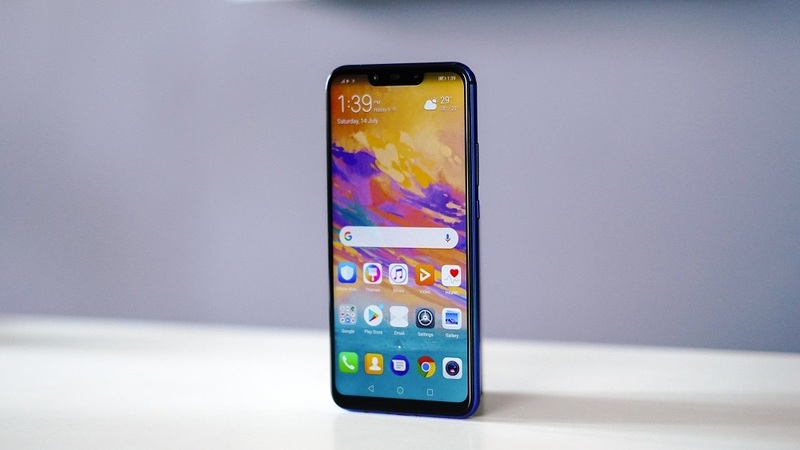 Perhaps the best example of this was this year’s flagship, the P20 Pro, which attracted solid reviews and is the first mass-market phone with three rear cameras. Stiff competition means that standing still in the smartphone market is really like going in reverse. Aware of this, Huawei haven’t been resting on their laurels. They launched the Nova 3i. It’s a confusing beast. Priced at what you’d pay for an affordable mid-range smartphone, the build quality, specs and features are more what you’d expect to find on a flagship smartphone two to three times its sticker price. Mention affordable smartphones, and most people think of junky plastic devices whose creaky designs are only matched by lo-fi specs. That’s not the case with the Huawei Nova 3i, though. You’d be hard pressed to tell the difference between it and several of Huawei’s significantly more expensive high-end flagship phones. It looks and feels far more expensive and upmarket than its very reasonable $499 sticker price. 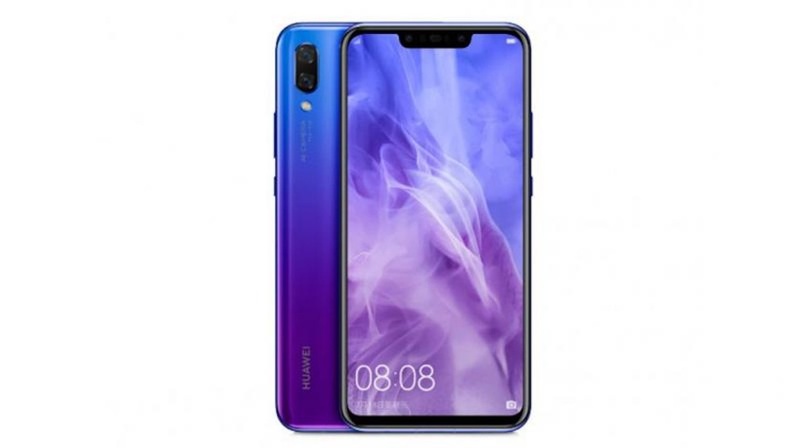 Huawei’s design team seem to have got their formula working and, like previous phones recently launched by the competitive company, the Nova 3i sports a metal and glass design. This translates into a metal frame sandwiched between a glass front and back. You’ll need a case for it though, as it won’t bounce if accidentally dropped. 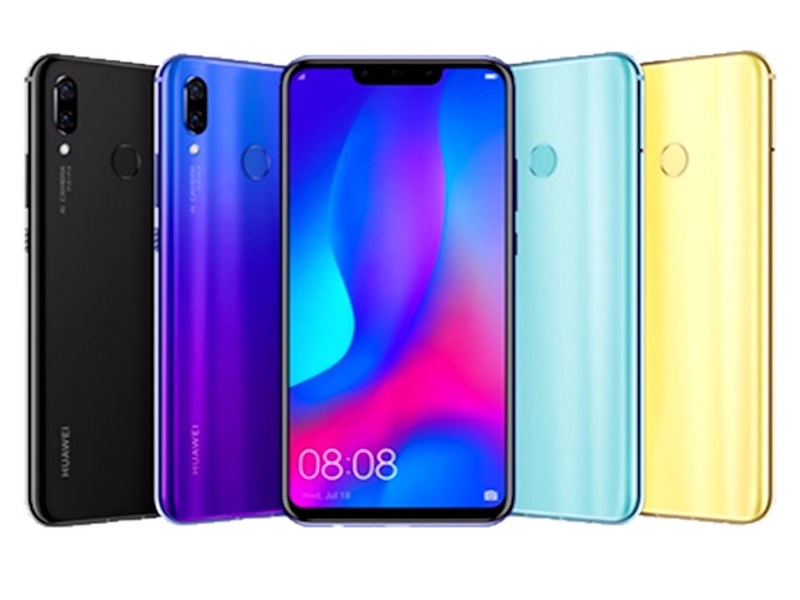 What Huawei have managed to pull off particularly well with the Nova 3i is the near seamless blend between its metal edges and its glass front and back. The review unit I was loaned was finished in what Huawei calls “Iris Blue”. It’s a striking metallic sky blue that seamlessly graduates into a metallic purple. It’s a flashy look that is on-trend. At the front, the Nova 3i is all screen. Its 6.3″ IPS LCD display has a tall and skinny aspect ratio of 19.5:9. It’s full HD+ and has a pixel density of 409 PPI. It looks sharp, bright, vivid and is also customisable in that the colour temperature and colour scheme can be tweaked. The aspect ratio and notch at the top of the screen mean the display looks bigger than the phone it’s attached to. Under the hood, the Nova 3i is powered by an in-house designed Kirin 710 CPU which runs alongside an ARM Mali-G6 GPU. It comes with eight cores and clocks in at 2.2GHz. 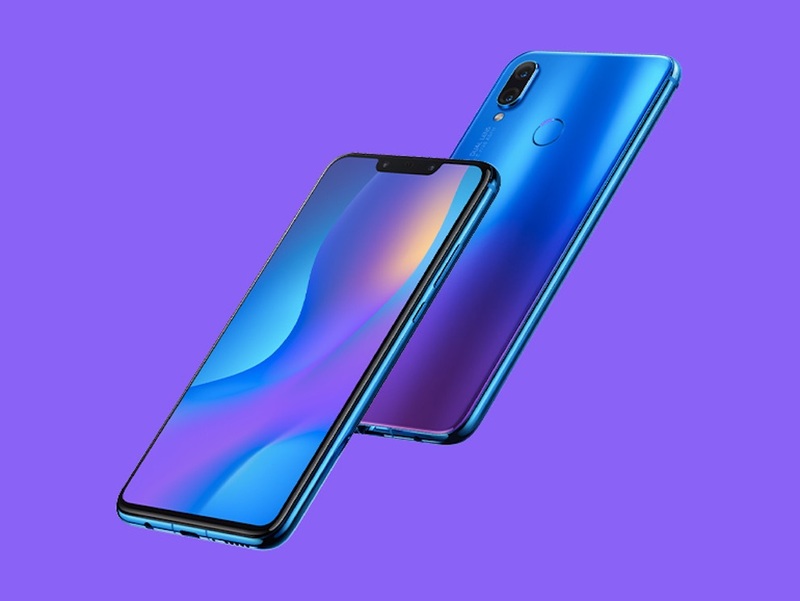 It might be mid-range silicon, but the big news comes in the form of 4GB of RAM and 128GB of storage, which is at least double that of other smartphones at this price point and provides plenty of room for media and apps. Being from the Huawei stables, its cameras are not lacking either. It comes with four cameras – two 24mp shooters at the front and two 16mp sensors on the rear. The camera app deserves special mention. It’s intuitive to drive and sports a host of shooting options. Then there’s AI enhancements which can help choose the right shooting mode depending on what the AI recognises from the camera. AI also cleans up and enhances photos once shot and the results are impressive. Shooting a lousy picture is difficult. Gamers will like Huawei’s GPU Turbo technology, which they say boosts gaming performance by anything up to 60 per cent, while (here’s the clever bit) reducing battery consumption by up to 30 per cent. If a sly session of Fortnite while waiting for the bus/train/plane is your thing, GPU Turbo might be just what the doctor ordered. The Nova 3i runs Android Oreo with Huawei’s own EMUI 8.2 atop of it. Like previous EMUI iterations, the home-screen is customisable. You can choose to have an app drawer (or not), and the Android assistant is there too. There are lots of other nifty refinements present also. Huawei has added a rear-mounted fingerprint sensor (I liked that it is able to act as a mini scroll surface and a camera shutter button). There’s also face recognition. I enrolled five fingers, which meant that no matter which hand I was holding the Nova 3i in, I was able to unlock it seamlessly. Face recognition mostly works, but your mileage is likely to vary depending what lighting sources are in front and behind you. It felt a little slower than the fingerprint sensor but nonetheless picking up the phone and having it unlock once it recognised my mug was handy. The Huawei Nova 3i’s 3,340mAh battery was more than enough to give me a day’s use and some spare change once juiced up. Huawei’s quick charging tech also meant that going from zero to fully charged took just over two hours. Adding a 10 per cent top-up took 15 minutes, which proved handy when I knew I was heading out and needed the nearly flat phone with me. Huawei’s Nova 3i is a real surprise. It handily exceeded my expectations of what a sub-$500 phone could deliver and offered premium features wrapped in a premium package comparable to phones double its price.